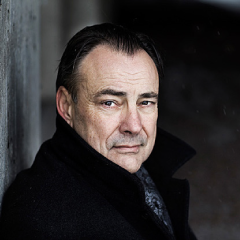 Wilmar Schaufeli (1953) is professor of work and organizational psychology at Utrecht University in the Netherlands and distinguished research professor at Leuven University (Belgium). His current teaching and research is on Occupational Health Psychology. He published over four hundred scientific articles, chapters and books, most of which may be downloaded from this site. Moreover this site informs you about ongoing research projects and offers the possibility to download self-report instruments to assess employee well-being (i.e., work engagement, job boredom, and workaholism). Educated as a Dutch Psychologist. Distinguished Research Professor at Leuven University, Belgium. Organisational consultant Triple i, Utrecht, The Netherlands. Editorships and memberships of editorial boards of scientific journals. Work Wellness Award from North West University, South Africa, which “recognizes the scientific contributions of Pofessor W.B. Schaufeli to the development of the field of Work Wellness in South Africa”. Fellowship of the European Academy of Occupational Health Psychology, “in recognition of his outstanding career contribution to occupational health psychology”. 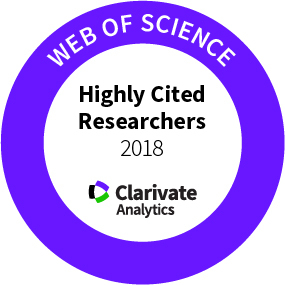 Highly Cited Researcher 2018 in the Clarivate Analytics. This list recognizes world-class researchers selected for their exceptional research performance, demonstrated by production of multiple highly cited papers that rank in the top 1% by citations for field and year in Web of Science. Jorna Rantanen Award for “his outstanding contribution to worker’s health and well-being” Finnish Institute of Occupational Health.